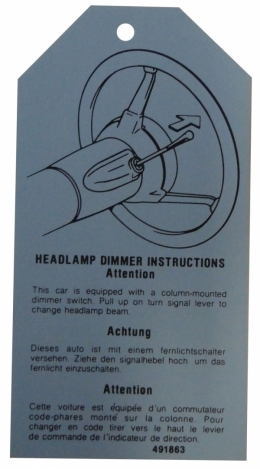 Headlight dimmer instructions tag. Replaces original GM part #491863. Add that final touch to your restoration. Top quality, licensed reproduction. MADE IN THE USA.